The Kitting feature in Acctivate is an optional module. 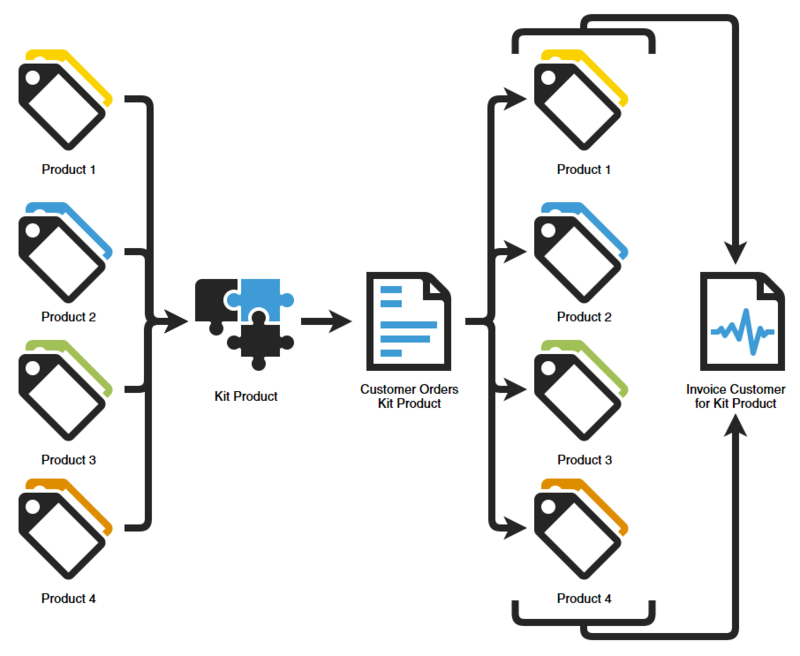 A kit is an item comprised of a group of individual items which is put together at the time of ordering. The components themselves are stocked individually and can be sold on their own, as well as apart of the kit. This gives you the ability to put together “packages” as the need arises for your customers. Kits differ from assemblies in that they are built to order rather than built for stock. For more information on assemblies, check out our Assembly Process Overview. Learn more about both kits and assemblies here.